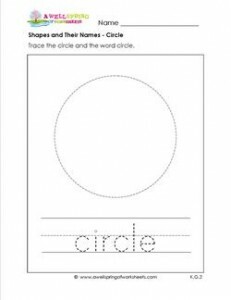 In this shapes and their names worksheet there is one very big circle for kids to trace (you can’t miss it!). They also trace the word circle. Then the best part of all – they can color.